Today's Christmas image comes from Jennifer Kelley, whose art site you can visit here. 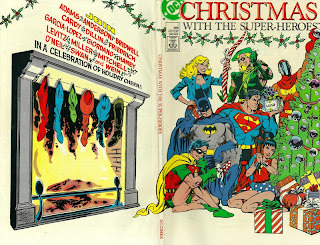 This is the cover of CHRISTMAS WITH THE SUPERHEROES 1988, drawn by John Byrne. 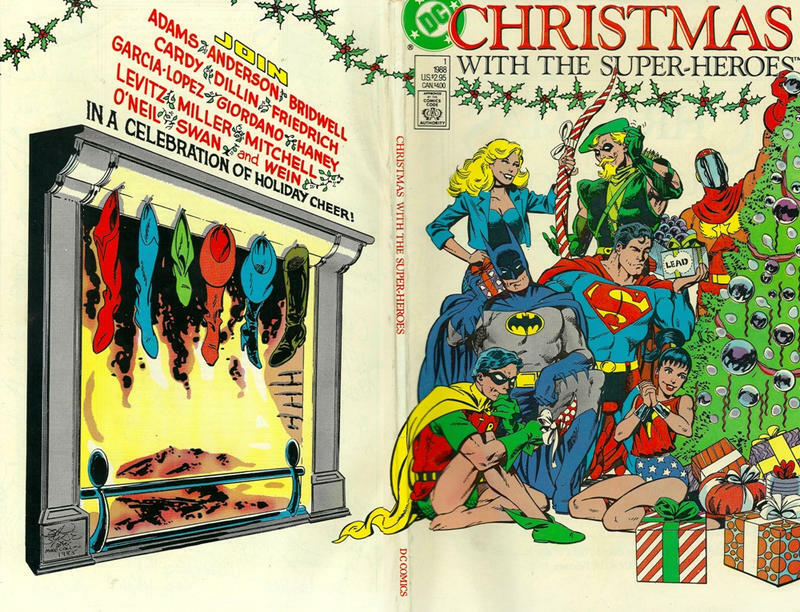 Robin's boot hanging off the fireplace and Superman trying to look through his lead-lined present — classic! Five more days till Christmas!